Reuters/BusinessWireHere are some young ‘sterile’ lettuces. When you think of Toshiba, you’re probably more likely to think of a flat-screen TV than a bag of lettuce. But not for much longer. 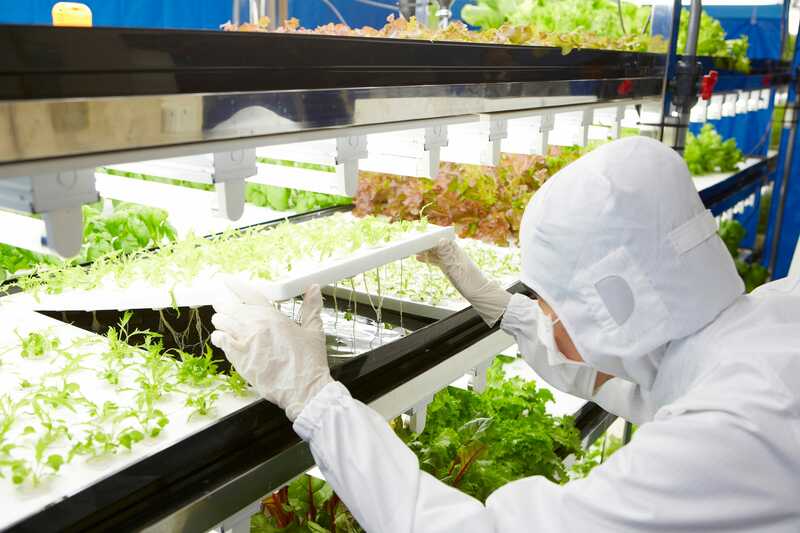 The Japanese electronics giant is now getting into high-tech farming, too. The company announced that it has converted one of its former factories into a sterilised clean room where it’s growing stacks of lettuce plants in mineral-rich water instead of soil. 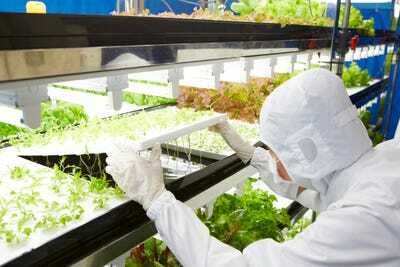 The crops are grown in “almost germ-free cleanrooms,” a condition that extends shelf life and freshness, Toshiba claims. Vertical farming has also been touted for its environmental benefits because it requires less land to grow the same amount of food. The plant uses technology such as fluorescent lighting, air conditioning, and sterialisation systems for packaging, Toshiba explains. The company plans to produce an impressive 3 million bags of leaf lettuce, baby leaf greens, spinach, mizuna, and herbs every year, with the first shipment scheduled for October. It has sales target of 300 million yen (more than £1.6 million). Tokyo-based Toshiba is not the first business to get green-fingered, though. Fujitsu, also from the Japanese capital, has been growing greens since 2013, The Wall Street Journal reported. Canadian-based Sharp Corporation is also in the produce-growing game. Last year it announced an expansion into strawberries, running experimental tests at a laboratory in Dubai to satisfy its citizens’ love for the fruit.